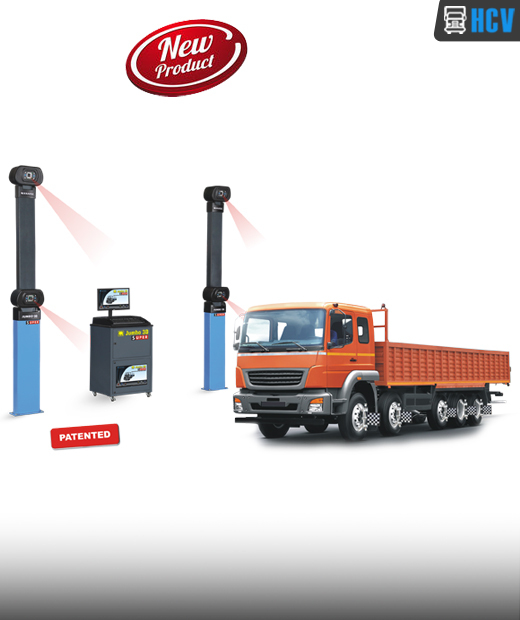 World’s 1st 3D Wheel Aligner for Multi-Axle Trucks, Buses & Trailers. One shot Runout compensation of all 5 axles. One shot Caster swing for twin steer axles. Mobile stands for storing Wheel brackets & Targets. Extra monitor provided to view screen underneath from the PIT. Smart control using Wi-Fi enabled tablet & Mobile device to display alignment results and to operate the PC from Alignment bay, Avoids multiple trips to PC console. Ideal for all workshops, tyre shops & OEM end of line requirements. Power Supply 230V AC, 50Hz.